The Humpening is a team that focuses on two person scenes. 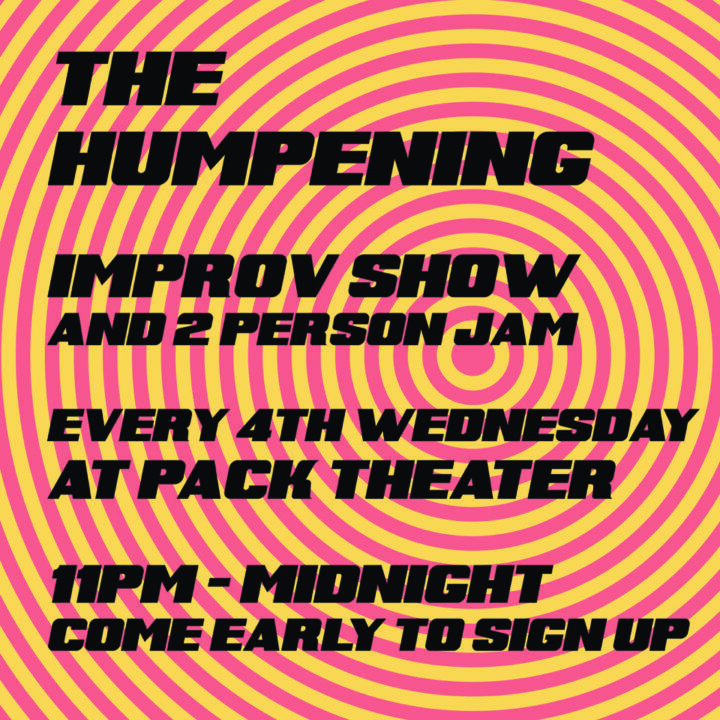 We present a two person improv jam. Come with a friend, or come alone and get paired up with a new friend.